Georgia’s behind-the-scenes boss returns to political center stage as ruling party chairman. “I’m confident that this decision will reflect positively on the political life of our country. It will be a fresh stimulus for us, for every member of Georgian Dream party, to our team and to me personally,” said Prime Minister Giorgi Kvirikashvili. Although he will cede his role as Georgian Dream chairman to Ivanishvili, Kvirikashvili is expected to continue to serve as the prime minister. A party caucus is expected to re-elect Ivanishvili as the chairman in the coming days. The move comes just as a debate about candidate for this year’s presidential election put daylight between feuding factions in the ruling party. Although the president’s powers have been significantly curtailed, it is still a powerful office that two warring camps of Georgian Dream want their candidate to fill. Kvirikashvili himself is rumored to be one of the candidates, but is reportedly opposed by influential members of Georgian Dream, including Tbilisi Mayor Kakha Kaladze. The current president, Giorgi Margvelashvili, also could run for a second term. Once Ivanishvili’s ally and nominee, Margvelashvili has run afoul of the billionaire and the Georgian Dream during his tenure. “He realized that he had to get involved. It means we did not make all that noise for nothing,” said Nukri Kantaria referring to public squabbles among fellow members of Georgian Dream. 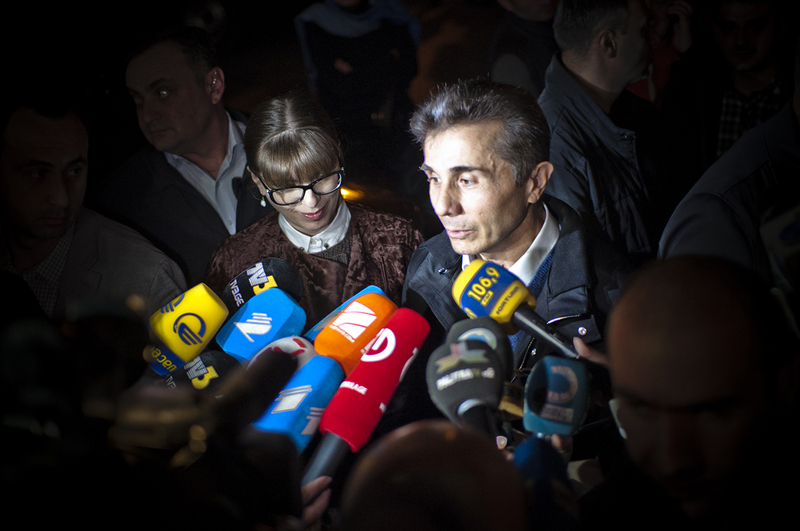 Opposition parties say that Ivanishvili's move was about crisis management. “That the real leader of the Georgian Dream comes out of the shadows is a testimony that there is a deep crisis in the Georgian Dream and in the country,” said Giga Bokeria, one of the leaders of the European Georgia party. Ivanishvili’s formal return strips away the veneer of pretense that he had removed himself from politics after stepping down as prime minister in 2013. He then left the everyday business of governance to his loyalists but remained the nation’s behind-the-scenes CEO. “I believe that the divisions in the parliamentary majority brought the realization that Ivanishvili cannot just informally whisper things into the ears of the sides involved but instead has to have legal power to have an impact on the political climate,” political analyst Ramaz Sakvarelidze told IPN newswire.